Education runs in my family. My grandfather was a school principal, my grandmother was a recognized and awarded teacher, and my mother is a language teacher, whose ability to win the interest of bored students fascinated me as a child. While the tendency to value sons more than daughters was common for some parents in Uzbekistan, my father valued and fostered equal educational opportunities for my siblings and me. 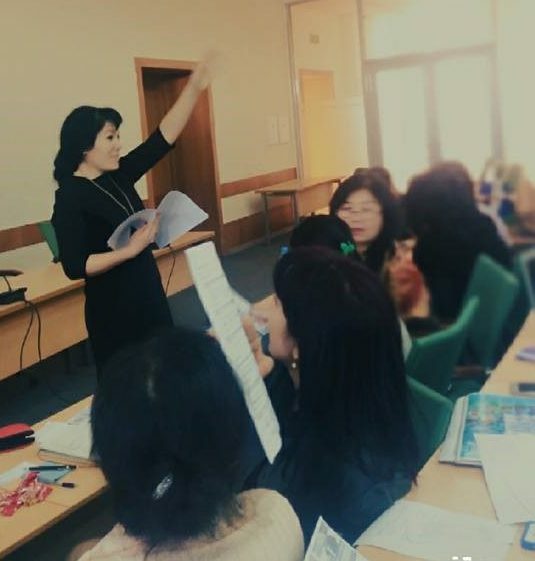 I took full advantage of this familial support, earning a Bachelor of Arts in English and German Philology with Honors, and a Master of Arts in English Linguistics from the Uzbek State World Languages University. When I began teaching, I introduced using puppets to a gender-imbalanced group of students who were difficult to work with. Puppets turned out to be an innovative way to work with challenging students, as it allowed them to “depersonalize” their actions and view them from a different (puppet’s) perspective. 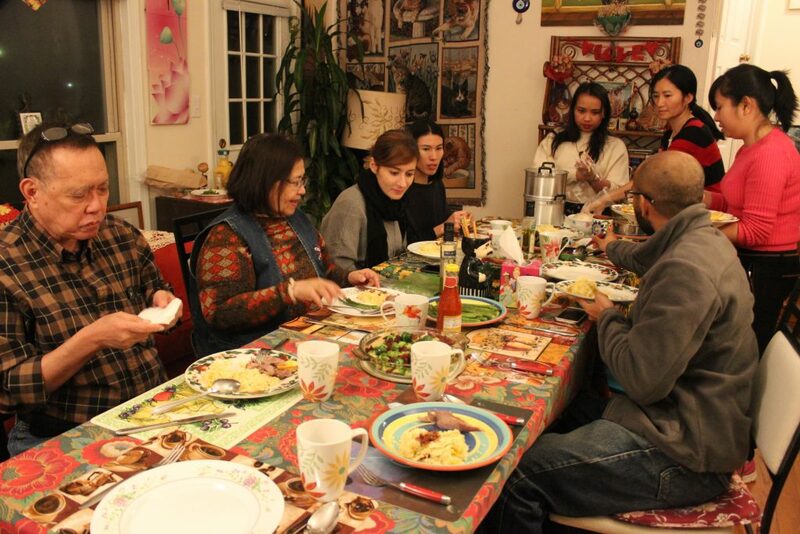 Editor’s note: Did you celebrate Thanksgiving in the United States or abroad this year as a Fulbrighter? We’d love to hear your story! Send us a note or share it on social media with #Fulbright. A Bangladeshi, an Italian, a Thai, an Indian, an elderly Filipino couple, and three Vietnamese people sat down for dinner at a Vietnamese-American house. This may sound like the start of a clichéd joke, but this was exactly what my first-ever Thanksgiving feast looked like. This year, thanks to the Fulbright Foreign Language Teaching Assistant Program (FLTA), I had the opportunity to be in the United States for this one-of-a-kind celebration. I had heard and learned about Thanksgiving through the Internet over the years, and I grew up looking at sumptuous Thanksgiving meal illustrations in Archie comics; where the biggest, juiciest turkey and other mouthwatering foods were served. 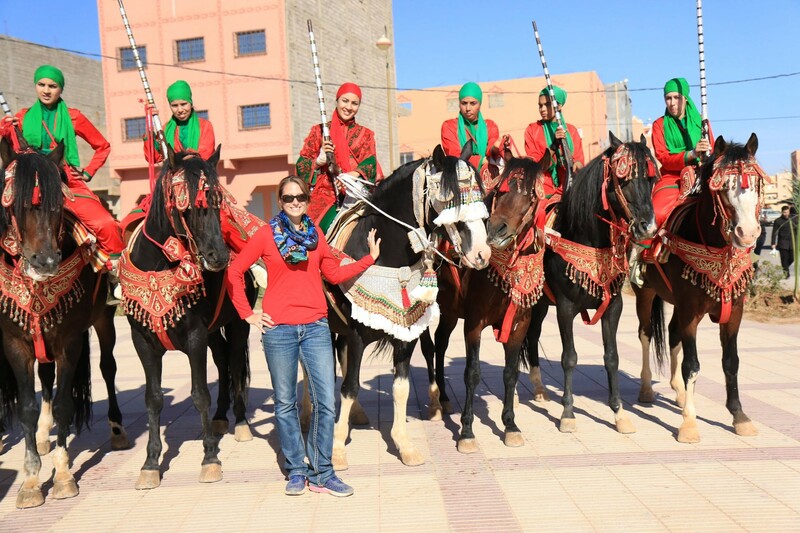 Gwyneth Talley, 2015-2016, Morocco (third from left), at the opening of a festival in Zagora, Morocco with Amal Ahmri and her tbourida troupe. My Fulbright journey began with one distinct moment: My first Arabic class in 2009 where Tunisian Fulbrighter Beligh Ben Taleb, a Fulbright Foreign Language Teaching Assistant (FLTA), taught me my Alif–Baa–Taas (or my Arabic ABCs) at the University of Nebraska–Lincoln. It was Beligh’s first trip to the United States, first Ramadan in a non-Muslim country, and first American teaching experience. He would set a high bar for all the other Fulbright FLTAs to follow at the University. In the summer of 2010, I took my first trip to Morocco to study Arabic and French. I stayed with a horse training family, which would lead me to my graduate research in anthropology. While learning Modern Standard Arabic, my host family immersed me in Moroccan dialect and culture–specifically their horse culture. I also met the incoming Fulbright FLTA assigned to the University of Nebraska–Lincoln, Othmane Zakaria. He was born and raised in the city of Meknes where I was staying for the summer. We shared tidbits about our cultures, and I warned him to buy his winter coat in the States because Nebraska winters were not like winters in Morocco. 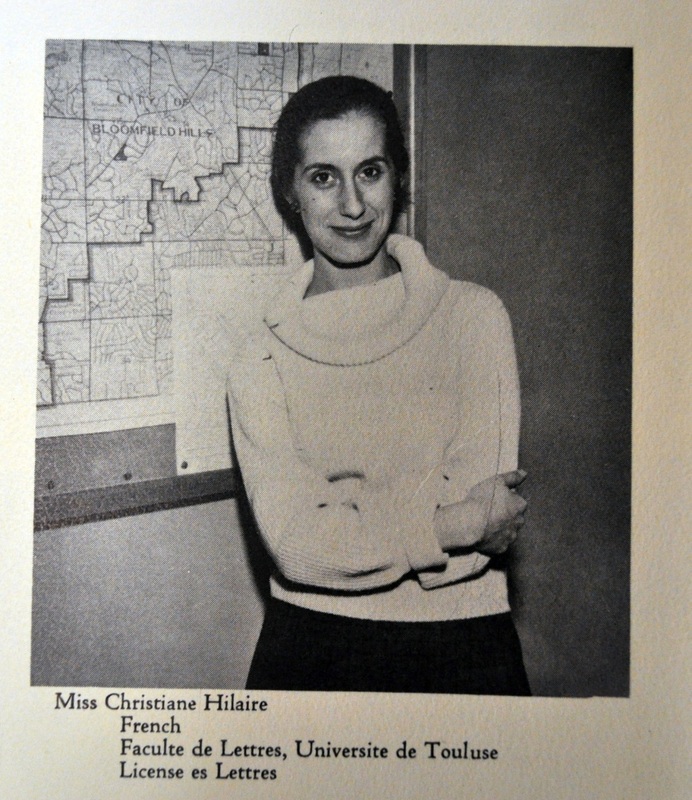 During my sophomore year at Bloomfield Hills High School in Michigan in 1959, I was blessed by having Christiane Hilaire, a Fulbright Foreign Language Teaching Assistant, as my French teacher. While I was already fascinated by the peoples and cultures of the world, as I had had two pen pals, in Germany and Japan, since age ten. It was Christiane, though, who inspired me and helped me center my education and career toward an international focus. For an adolescent of fifteen, Christiane, at age twenty-three, became an easy role model. I was captivated by her unique looks and her mannerisms that appeared different and intriguing to me. I loved the way her English had that certain charm of non-native speakers who often translate directly from their native language. She shared with her students not only the grammar and vocabulary of our textbooks, but personal stories of the village where she grew up. She taught us French songs, showed French movies, and explained history and customs that were meaningful to her. In short, she had a talent for teaching. In the spring of that year, I read an article in Holiday Magazine about the city of Grenoble, France, including its university. I immediately wrote for information about programs. In the package that arrived, I was notified that I had already been accepted! What a thrill for a sixteen-year-old. 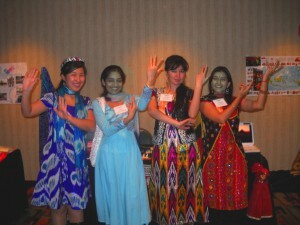 It was an intensive French language program for international students. I asked my father if he would pay for me to go to Grenoble for my freshman year of college and he agreed! 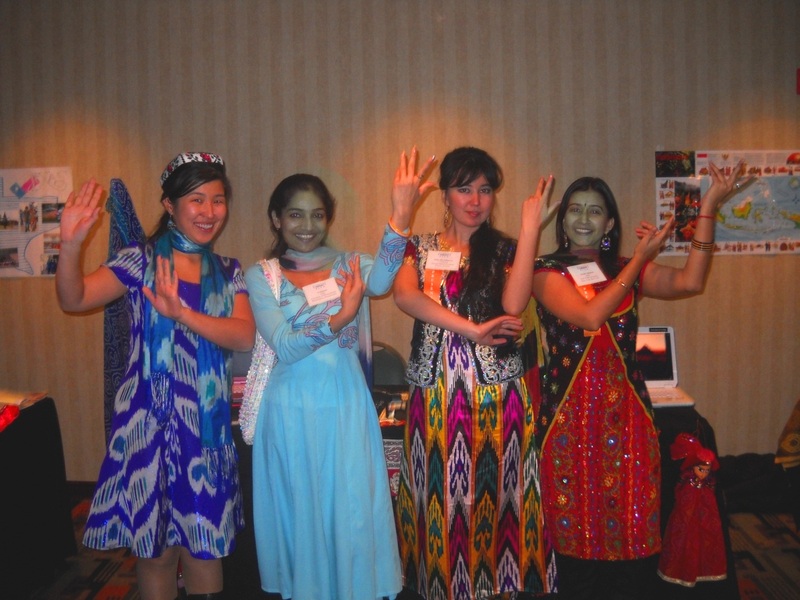 My first journey outside of India was to Syracuse, New York in 2009 to attend a summer orientation for my Fulbright Foreign Language Teaching Assistantship (FLTA). My Fulbright experience went smoothly in part because of the guidance I received during the orientation at Syracuse University, and in part because of the mid-year conference in Washington, DC. Being a Fulbright FLTA and cultural ambassador, I interacted not only with people I met and worked with in the United States, but with my fellow Fulbright FLTAs from more than 50 countries. At times during my grant, I felt like a newborn baby being guided at every step by the United States India Educational Foundation, the Institute of International Education, and the School of Arts and Sciences at the University of Pennsylvania. The environment in the United States was filled with different accents, people, manners – but the welcoming diversity around me made me feel at home.